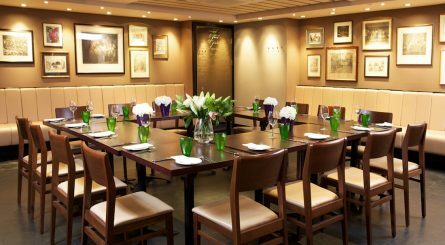 The Boardroom at Davy’s at Woolgate – located in the heart of the City of London – seats up to 10. 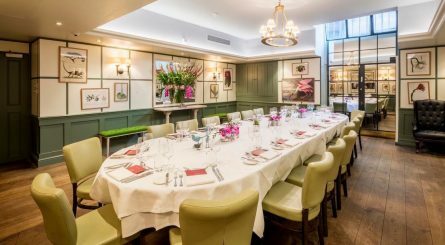 The Brasserie can accommodate up to 35 seated guests for private dining events or up to 50 guests for standing drinks receptions. 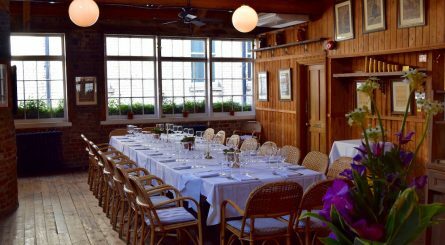 The upstairs private dining room at Le Café du Marché can accommodate up to 60 seated (100 standing) guests. 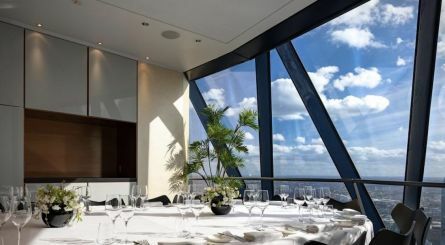 This French restaurant has a semi-private dining room seating up to 35 guests and is available for restaurant takeover for up to 300 seated guests. 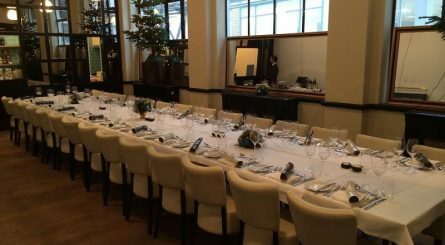 Northbank Restaurant on the bank of the Thames in St. Paul’s has a semi private dining room seating up to 20 guests or 30 for standing events. 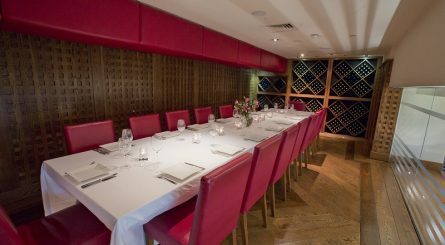 The private dining room at Piccolino in The City’s Exchange Square provides space for up to 24 seated guests. 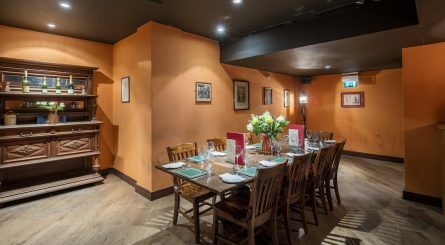 South Place hotel has five private dining rooms seating between 10 to 20 guests with larger banqueting event spaces seating 50 to 100 guests for events. 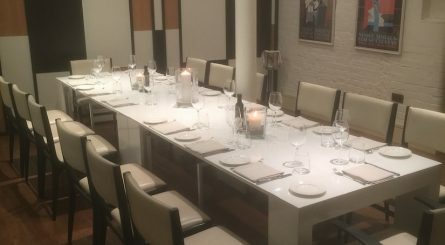 The Bottlescrue’s three private dining rooms seat 6 – 28 guests. Exclusive venue hire for up to 180 seated (300) standing guests. The private dining rooms at The Mercer seat 6 to 48 guests with exclusive restaurant hire available for up to 120 seated guests. 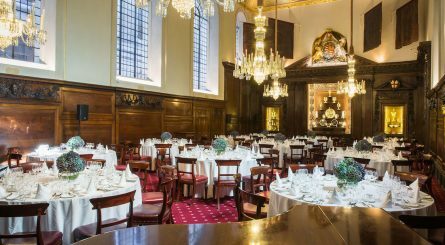 Located close to Mansion House, Cannon Street and Bank in The City of London, Vintners Hall offers 2 exceptional spaces for dining. The elegant Boardroom accommodates up to 24 seated guests with exclusive access to a roof terrace for up to 30 guests for standing receptions. 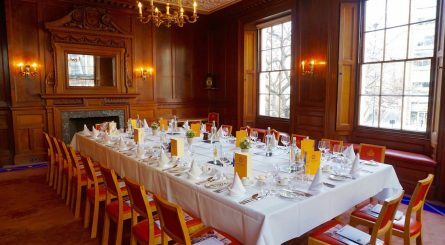 The grand Livery Hall can accommodate up to 158 seated (250 standing) guests for banquets.